Can be used rearward facing to 25kg fitted using either lap and diagonal belt or just the lap belt. 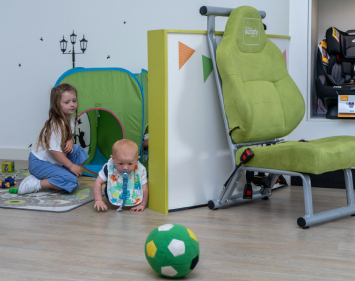 This seat is specifically adapted for children who are fitted with a Hip Spica cast. 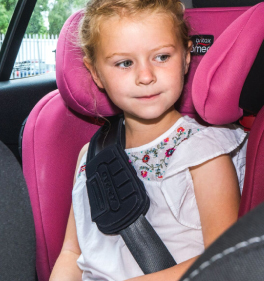 It is important that the seat is used rearward facing when in its adapted form as this significantly reduces the load weight on both the child and the harness in the event of an accident. 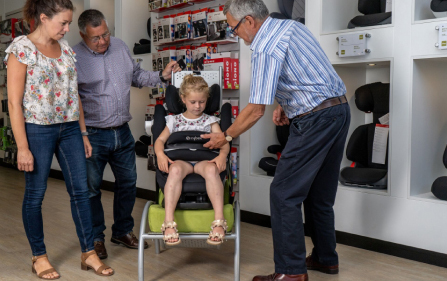 When the child is out of the cast it can be adapted back to a standard seat and used either rearward or forward facing to 25kg with the 5-point safety harness. The seat comes delivered to you in its fully adapted form. It cannot be used in this form until the child is fitted with their cast or brace. 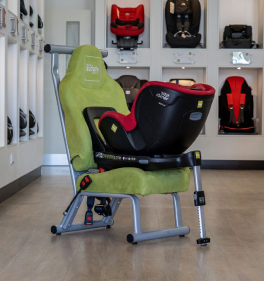 When your child’s Hip Spica is removed, at the same time the extended crotch strap and foam are also removed, the original crotch strap is re fitted, the seat is then ready to be used as normal. The seat is supplied ready for use, a manual is sent with the seat and ‘how to fit’ videos may be viewed on our website. There is also the option to loan this product. It initially costs you £220.00 and the loan period is for 4 months. 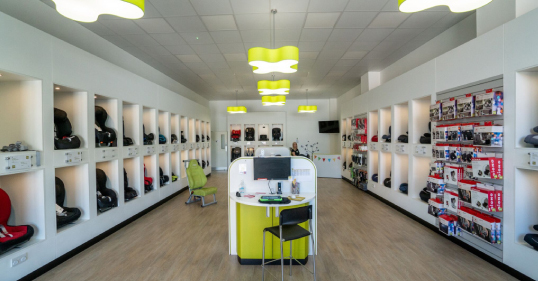 At the end of this loan period we collect the seat from you and you receive a deposit refund of £75.00 providing the seat comes back in a satisfactory condition. For more information about the loan scheme or to order please call 02890 742052 or 01908 220909.